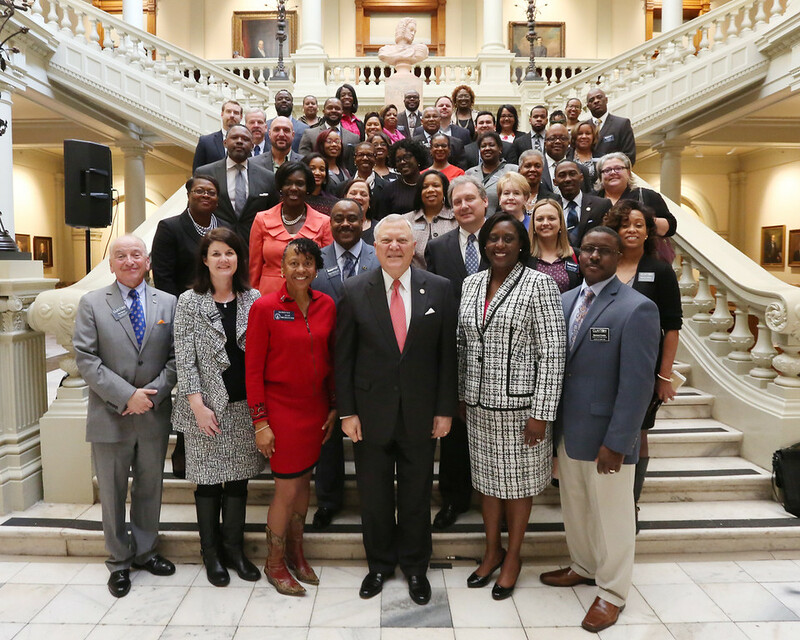 Superintendent of Clayton County Public Schools, Dr. Morcease J. Beasley, asks that you join him and other Clayton County leaders at Chamber Day at the Capitol! This special event will allow citizens to visit with the county’s representatives and senators. It is also a wonderful opportunity for a family trip, allowing children to experience the highest form of state government where laws and decisions are made that have an impact on our lives. Please note that Chamber Day at the Capitol is scheduled for Tuesday, February 20, which is during the district’s Winter Break when schools and offices are closed. If you are inclined to participate in this worthwhile civic event please read the following for complete details. This event is complimentary for our members, and space is limited. Transportation from the Chamber office to the State Capitol Capitol will be provided on a first come basis. Lunch will be provided.